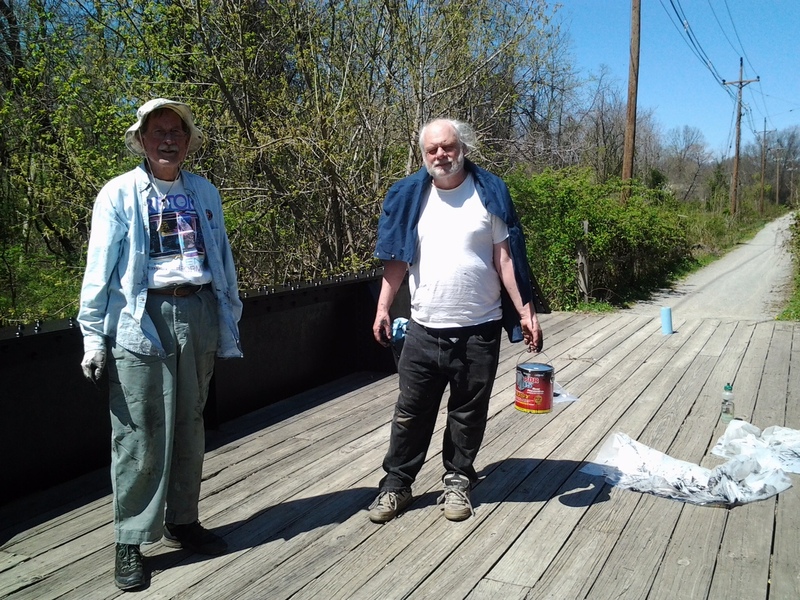 Spring cleaning is definitely in process throughout township and the Johnson Trolley Trail is the recipient of some elbow grease by EEC members Joe Mirabella and Lee Farnham. You may recall from our last post that the Township received a grant to upgrade the existing trail in 2012. 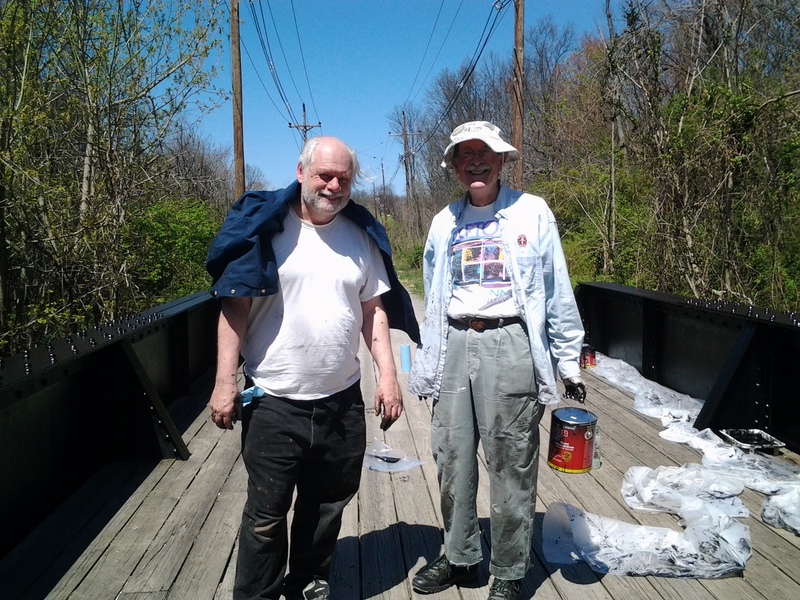 EEC Chair and NJ DEP hazardous waste supervisor Joe Mirabella inspected the bridge and this past weekend he and fellow painting enthusiast were hard at work applying a fresh coat of paint. Now remains only the planting of low-maintenance shrubs and grasses at certain parts of the trail.